February 11th is a National Holiday in Japan called National Foundation Day (建国記念の日) Kenkoku Kinen no Hi in Japanese. It is a day which celebrates the foundation of Japan and the accession of its legendary first Emperor Jimmu to the throne in 660BC. Customs on National Foundation Day include raising the Japanese flag and reflecting on the meaning of Japanese citizenship. The origins of National Foundation Day can be traced back to the foundation of Japan by Emperor Jimmu in 660BC. The first National Foundation Day was celebrated in 1872 during the Meiji Period. In its original form, the holiday was created by the Meiji Government and called Empire Day (紀元節) Kigensetsu in Japanese. The aim of the holiday was to focus national attention on the emperor for the purpose of unifying the county. This was important after the fall of the Tokugawa Shogunate to legitimize the rule of the imperial family. The first Empire Day was officially celebrated on the 29th of January 1872. According to legend, Emperor Jimmu ascended to the throne on the first day of the first month on the Chinese lunar calendar. This day corresponded to January 29th on the modern Gregorian calendar. The date was later moved as many still used the Chinese lunar calendar resulting in Empire Day falling on what most considered to be New Year’s (oshogatsu). The Meiji Government in response to this moved Empire Day to February 11th. Empire Day featured large parades and festivals and was considered one of the four major holidays of Japan. After World War II the holiday was abolished and a commemorative holiday was re-established as National Foundation Day in 1966. The day was stripped of its overt references to the Emperor, but was still a day for expressing national patriotism and love of the nation. Coincidentally, the first draft of the post-War constitution was approved by General MacArthur on February 11th 1946. 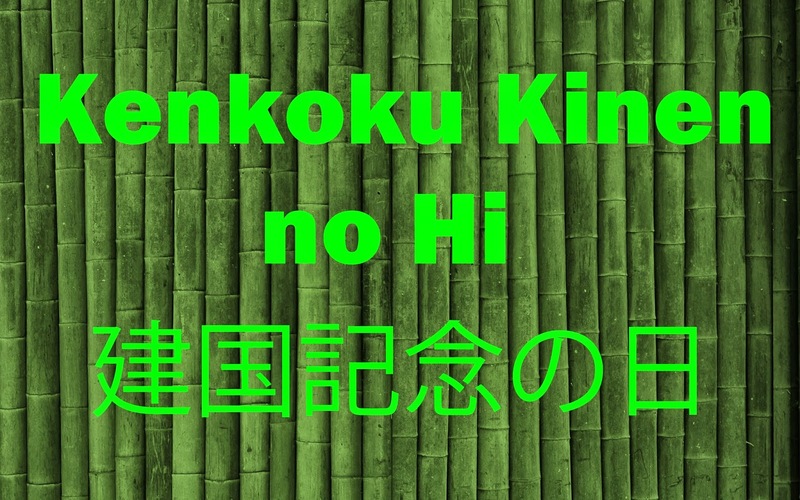 What will you be doing today to celebrate Kenkoku Kinen no Hi?